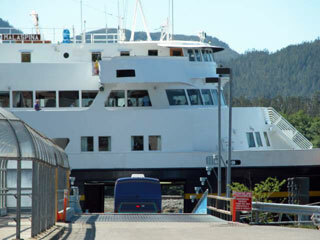 Loading the bus on the ferry to Alaska. This page contains a single entry from the blog posted on June 23, 2005 6:27 PM. The previous post in this blog was Crossing the Border. The next post in this blog is Worse Than Parallel Parking?.